Why is AS/NZS 4801:2001 accreditation important? In order to fulfil our aim of being a respected supplier partner to the industry, we understand that Occupational Health & Safety is an essential part of our success. Gaining AS 4801 accreditation demonstrates our commitment to the health and safety of our working environment, whether in our own workshop or when we’re working on site. 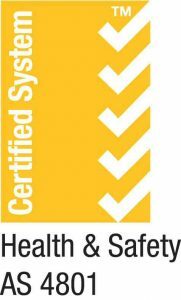 In order to gain this accreditation, FITT Resources had to demonstrate that our OHS management system (OHSMS) is designed to reduce workplace illness and injury. We achieved this by showing that we provide and maintain a working environment that is safe and without risk, and that our workforce take reasonable care for the health and safety of themselves and others. AS 4801 is a widely recognised accreditation that means we are equipped to put the necessary risk control measures in place to prevent accidents, and that we understand our responsibility to create and maintain a safe working environment for everyone. Gaining AS 4801 also shows our commitment to the ongoing training and development of our staff, and that we have a OHSMS that supports their progression and professionalism. This means less staff turnover and greater continuity, leading to more efficient working practices. This accreditation not only demonstrates our standing in the industry, but also our commitment to our customers and our mission to be your first choice for both products and services. You can have confidence that FITT Resources has met all necessary legal and regulatory requirements, and that you can trust our integrity and reliability with regard to our values, processes and systems. You can be sure that we are serious about workplace health and safety, and that our staff are trained to meet all OHS and other requirements. Being AS/NZS 4801:2001 compliant also means that you can be assured that we are operating in an optimal way with regard to safe practices, leading to less downtime and more overall efficiency and cost-effectiveness. 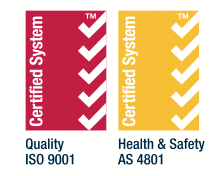 In addition to our AS/NZS 4801:2001 accreditation, FITT Resources is also accredited against the international standard Quality Management Systems ISO 9001:2015. Having this standard means that our quality management system is recognised as enabling us to provide products and services that meet customer and applicable statutory and regulatory requirements, and is designed to enhance customer satisfaction. ISO 9001 also helps us to ensure that our business operations are efficient, productivity levels are maximised, and the degree to which our business practices impact on the environment is reduced.